I've used the Love theme to create a Wedding card, and I've used some retired products in the process. Here's my card featuring the original Hearts dies from Stampin' Up! now retired and the Happy Hearts embossing folder which is also retired along with Stitched Shapes dies. The cardstock used is Blushing Bride and Very Vanilla. The patterned paper is from the Petal Promenade designer paper pack. 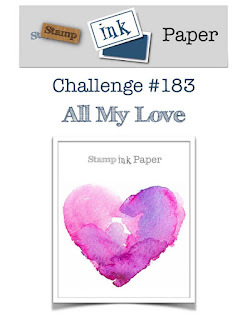 Hope you can join us for this week's challenge at Stamp Ink Paper. Have a great day. This is beautiful, Carolyn! 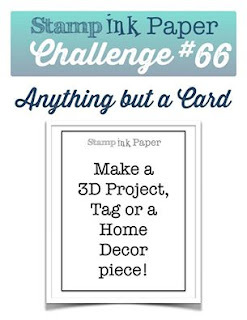 That patterned paper is just gorgeous for a wedding card! I love that you used retired stuff from your stash. Thanks so much Kimberly. Like every one else I'm sure, I have a healthy stash and I cannot justify buying new "Heart" themed products.